The Valle Verzasca is famous for the crystal clear river carving its way through granite at the bottom of the valley. While most people come for what's at the bottom of the valley, we found what is high above is far more impressive, but some work to experience. This is the best trip in the Alps that you've never heard of. Until we were invited to do it, I had never heard of it either. And yet after 16 years in the Alps, and countless tours, this has to be one of my very favorites. However it does come with some qualifications... it's quite special. 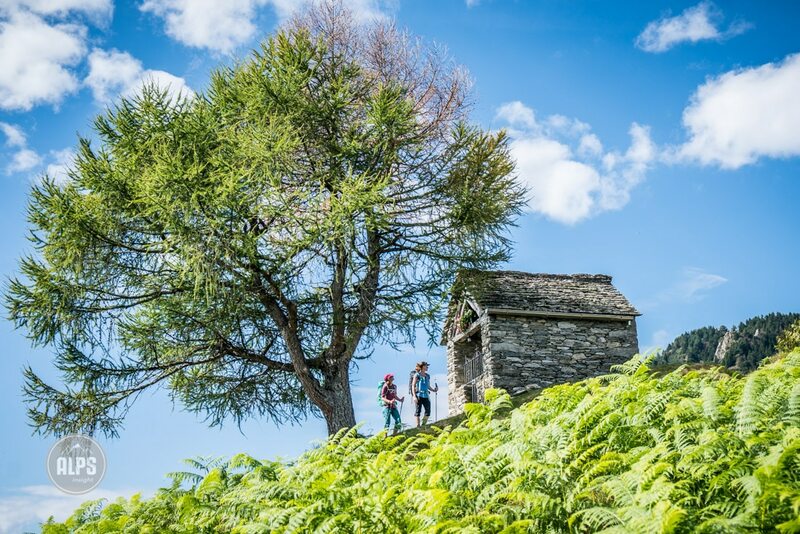 The route is five days, three of which keep you on a ridge line, always spectacular, but sometimes exposed and exciting. The hiking grade for the route is T6, which is the hardest grade for trekking. It comes thanks to a few very exposed sections where you will be scrambling. 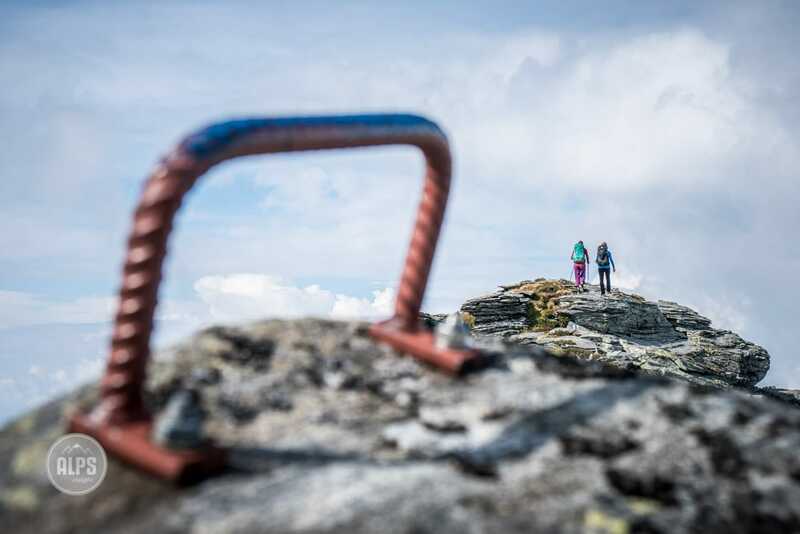 The trail is equipped with huge iron rings for holding on to, and even cables a'la via ferrate, but for anyone prone to a fear of heights, this one may not be for you. 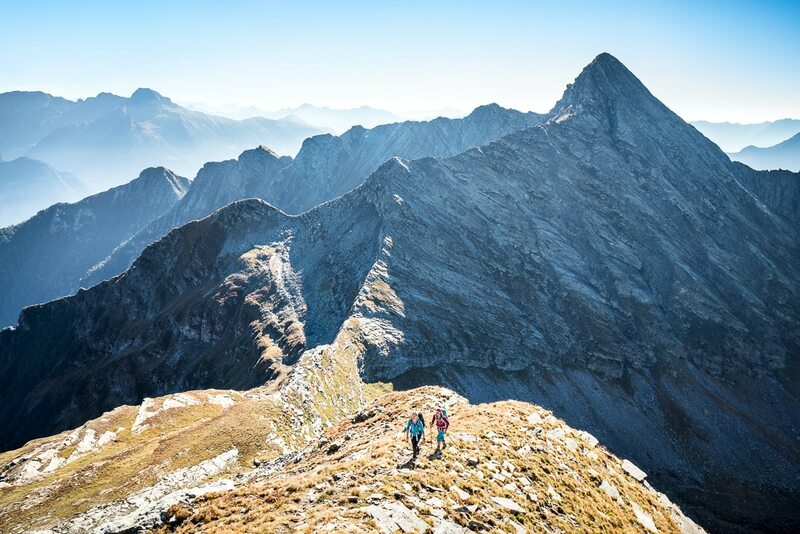 The other condition is that what makes the trail so good is what might not make it the ideal choice for first timers to the Alps. 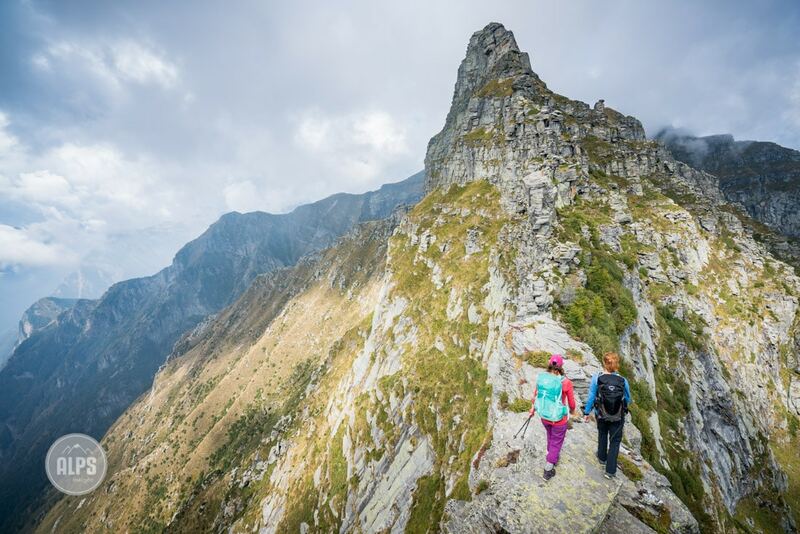 It is not your classic Alps tour amongst iconic peaks with overnights in staffed mountain huts. 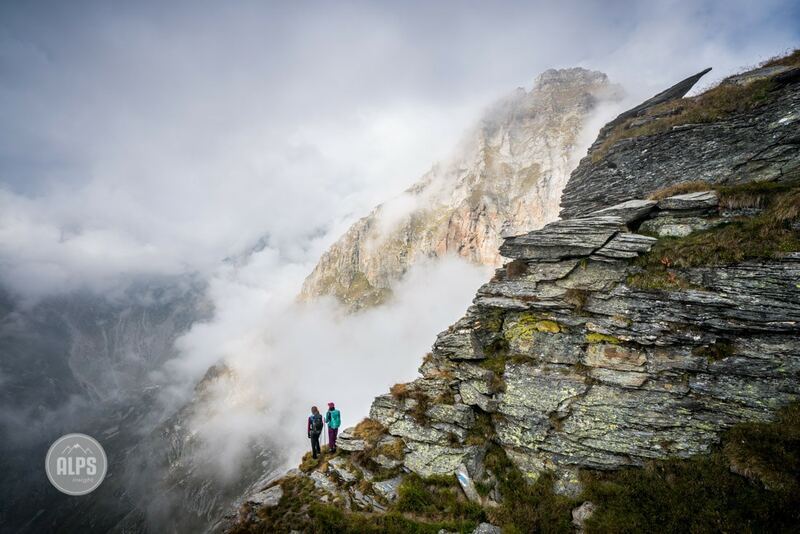 It is a wild and remote tour through peace, quiet, and big open mountain terrain. To me the tour feels ideal for those having already done one of the big classic tours and are seeking something different - something away from the crowds. Due to the nature of this tour, I believe it will never be crowded. What makes this so good? 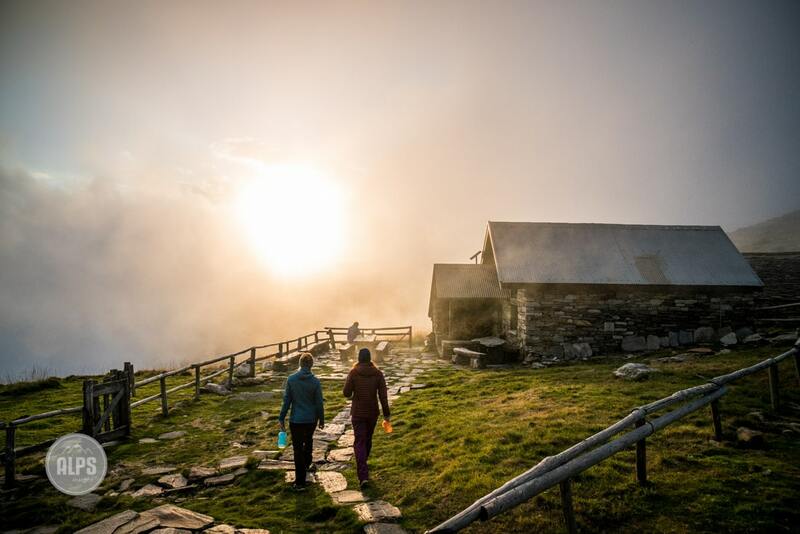 Once you leave the first night's hut behind, the Capanna Borgna, you'll gain a ridge line where you will primarily stay on all day, with incredible views along the spine to both where you are going, and where you've been. Most people spend their days climbing to a summit, this tour is like being on a summit all day. 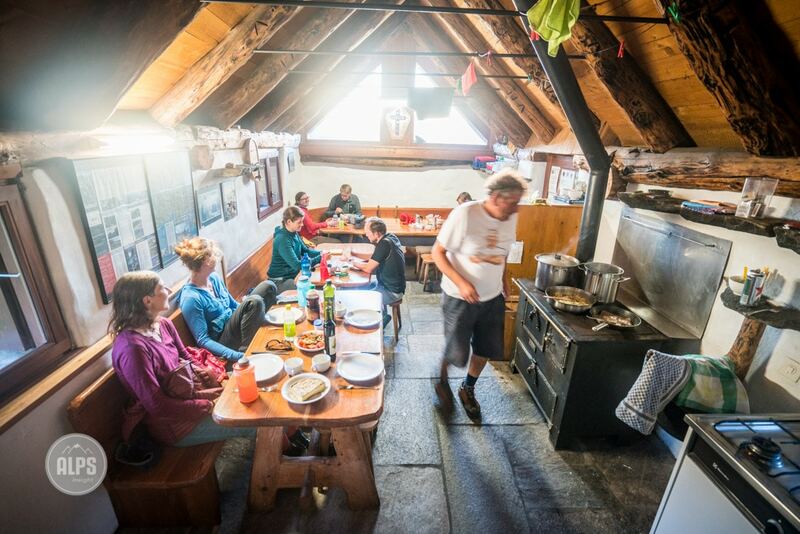 The nights are spent in small stone cabins, with no wardens, but with food (pasta, sauce mixes, risotto, coffee, tea) available for purchase. Also available are beverages including wine, beer and soft drinks - honor system. The cabins have full, modern kitchens. The tour can be shortened by descending to Sonogno on day 5 from Capanna Cognora, or combining day 5 and 6 and not spending the night at Capanna Barone. After day 4, to Capanna Cognora, the ridge traversing is finished unless you opt for the variation Via Nicola Balestra (T6 but more sustained difficulty). Alternatively, keep to the program and spend the right at Capanna Barone that includes a climb of the Pizzo Barone (2864 meters). Additional info about the Via Alta Verzasca may be found at Verzasca as well as our own Story from the trip. For info about the Ticino region, visit Ascona-Locarno. Day 1: Monti di Motti to Capanna Borgna. 1600 meters gain. 5-6 hours. Another start is in Vogorno, in the Valle Verzasca itself, which adds another few hundred meters of vertical to the first day. Day 2: Capanna Borgna to Capanna Cornavosa. T6. 900 meter gain. 6-8 hours. Day 4: Capanna Efra to Capanna Cognora. T6. 1100 meter gain. 8-9 hours. Day 5: Capanna Cognora to Capanna Barone. Hiking trails. 600 meter gain. 4 hours. Day 6: Capanna Barone to Sonogno. Easy hiking downhill. 3-4 hours. TIP: Know that you are okay in exposed terrain where there are serious consequences if you fall. The weather forecast needs to be good if you want to stick to the ridge. Fall may be the best time of year to do this tour. 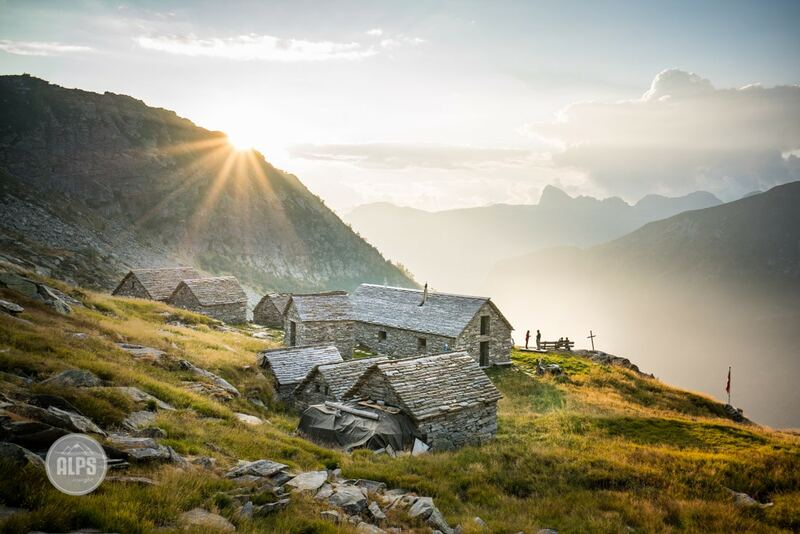 Be sure to save some time on your trip to explore the Valle Verzasca itself. Day 1, leaving the lowlands and trees behind while on the way to Capanna Borgna. How you spend your days, on the ridge, right on the ridge! Where there is climbing and/or exposure, there are these, huge, well placed iron holds. Day 2, scrambling just hard enough to be rated T6, the most difficult trekking grade, comes on day 2 and day 4. Day 2, on the way to Capanna Cornavosa. The paradise that awaits at Capanna Cornavosa. Capanna life along the Via Alta Verzasca. 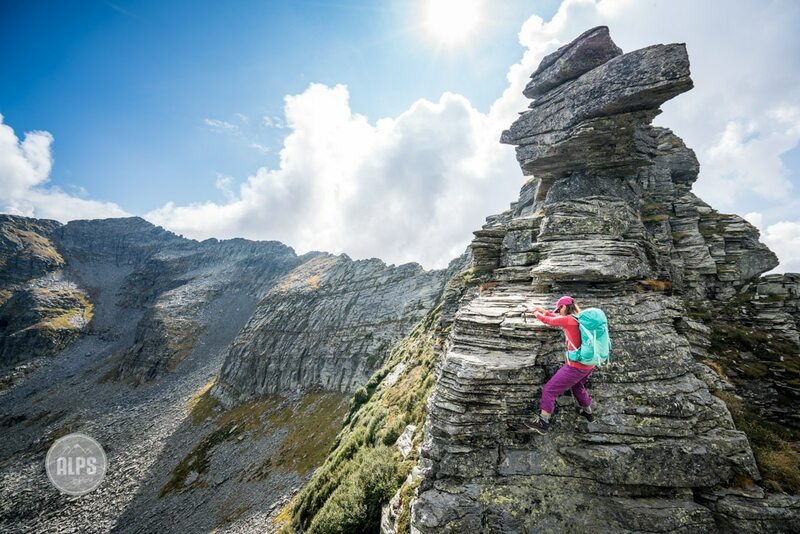 On day 4 comes the crux, a down climb in very exposed terrain while traversing from Pizzo Cramosino to Madam Gröss. Rings are in place for the airy descent. Day 5, on the way to Capanne Barone on standard trails instead of ridge lines. This looks like a fabulous hike. Wonderful story and pictures. I’m thinking of doing it in September this year. 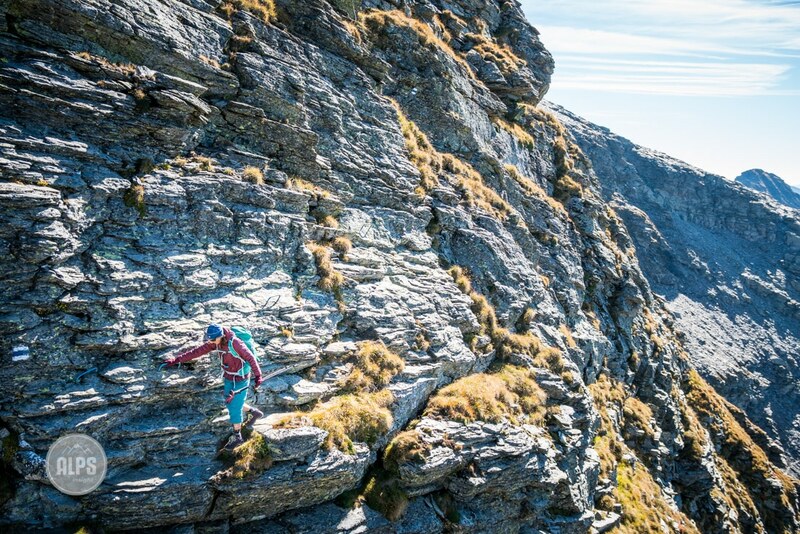 Does one need via ferrata or climbing gear to do this hike? 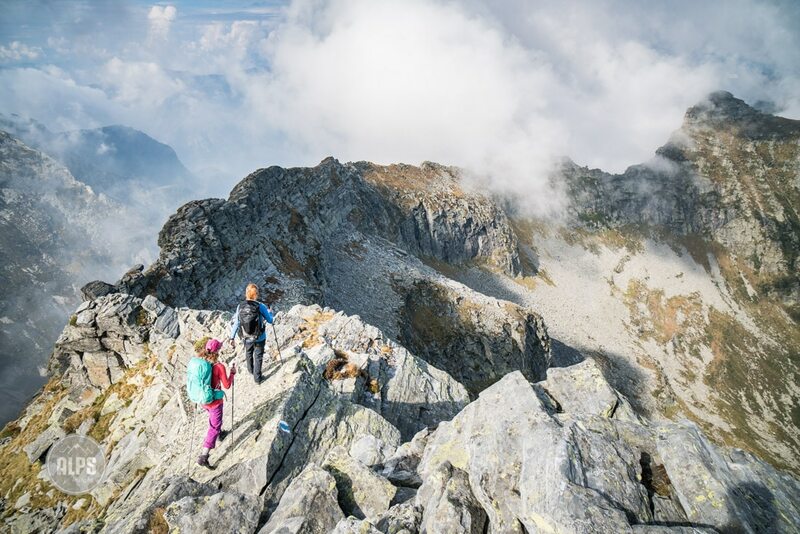 There is no climbing or ferrata gear required, but trekking poles help. Have fun!